With the most advanced voice activation and 3 sensitivity levels, the Motorola RDU2020 two-way radio allows the user to talk hands-free making this two-way radio the perfect choice when you need to communicate and complete important tasks at hand. With a UHF band, 2 watts, 2 channels and 89 business frequencies, the RDU2020 is an exceptional business two-way radio! The Motorola RDU2020 is an excellent two-way radio for a variety of different uses. Retail Stores: The hustle and bustle of retail, especially during peak seasons could be extremely stressful and daunting. 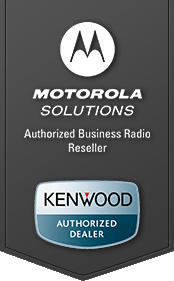 Keep in touch with the sales staff and backroom , with clarity and dependability with the Motorola RDU2020. Medical Offices: In the busy medical field, communication is the key to successful treatment. Keep in touch with staff in the back while you handle your duties up front with the RDU2020. Construction: A construction site can be spread out between different crews, but the need for communication is extremely important for success. Keep in touch between workers and foreman with the RDU2020. Resorts and Hotels: Keep in touch with the entire staff of your resort with the Motorola RDU2020. With a range of 250,000 sq. ft or up to 20 floors, the RDU2020 is the perfect two-way radio for resorts and hotels. Restaurants: A busy restaurant could be a nightmare for staff, but with constant and clear communication, your staff could keep everything under control and deliver quick and exceptional service. Of course, the Motorola RDU2020 isn’t only limited to the above purposes! When it comes to the perfect two-way radio for any stressful business, the RDU2020 will deliver. 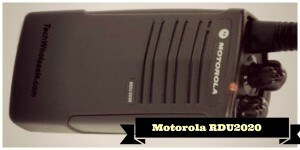 Get the Motorola RDU2020 today at TechWholeSale.com.